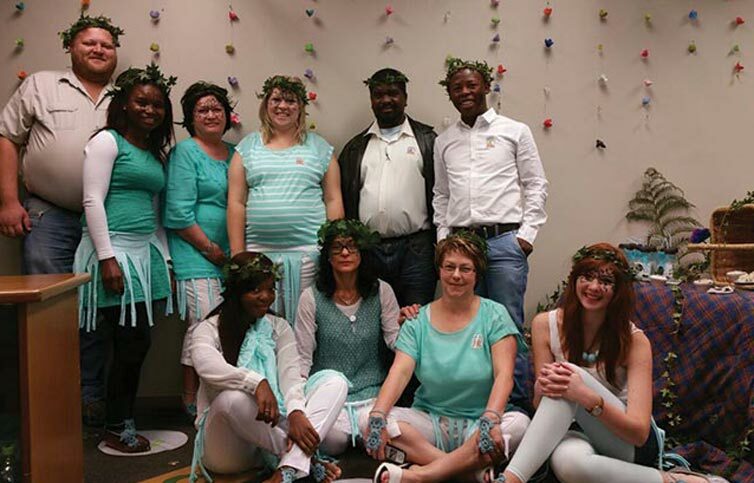 On 4 September TWK Head Office hosted yet another fantastic Casual Day! There were various aspects that the departments were judged on, including the implementation of the 75-year theme and incorporation of the Casual Day theme – Spring into Action. The judges, who consisted of Andre Myburgh (Managing Director), Ferdie Brauckmann (Executive Manager: Timber), Eddie Fivaz (Chief Financial Officer) and Tinus Potgieter (Executive Manager: General & New Business), were definitely cut out for their difficult task as imagination was at the order of the day. The judging started at HR and Payroll, who combined their strengths to produce a ‘Spring into rugby action’ theme. Reception and communication reminded the judges of their childhood days with fun activities. The judges were then whisked away to Hawaii with the debtors department and enjoyed refreshments from their Tikki Bar. The insurance department took them to Ireland with their Irish themed pub. From leprechauns and Guinness. The trade team made all believe in magic again with their fairy themed approach. 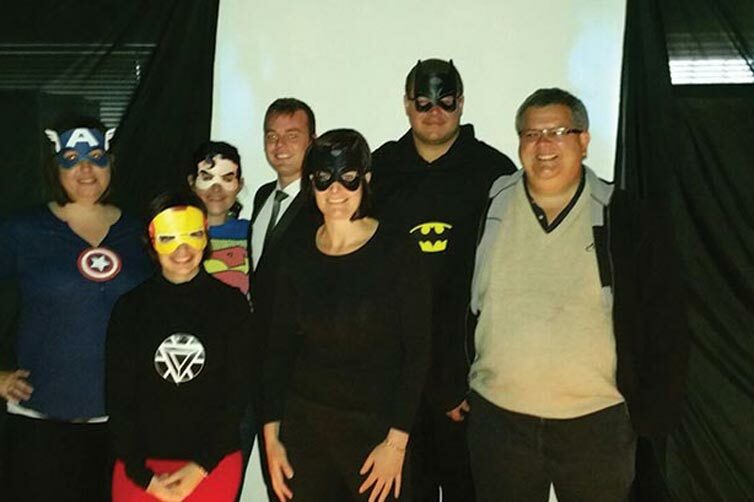 The team of accountants truly portrayed what a night at the Oscars felt like, complete with a ‘Walk of Fame’, champagne and an excellent super-hero movie. Last, but not least, the financing department had a makeshift rooftop garden, complete with a waterfall and swings. After careful consideration the Financing department came in at 3rd place, the Accounting department in 2nd place and Reception and Communication took home the trophy. All TWK workers wore their Casual Day stickers and were proud to contribute to raising funds and awareness for people with disabilities.